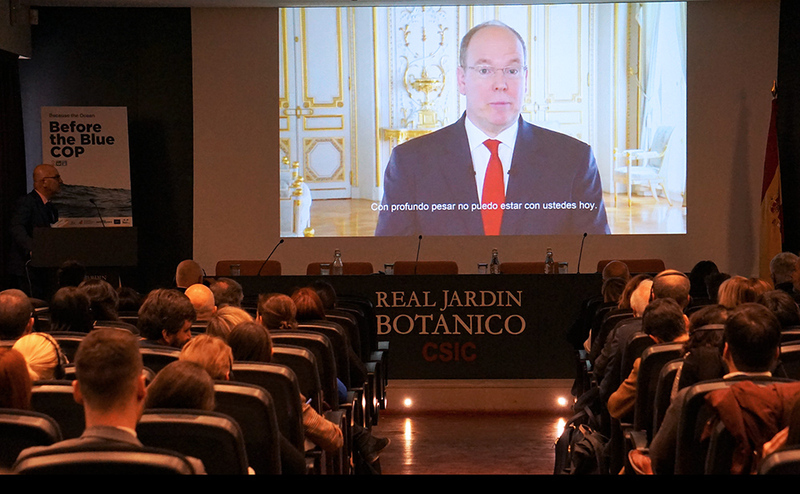 HSH Prince Albert II of Monaco delivered a video message to workshop participants, reiterating his commitment to support interlinkages between the ocean and climate agendas. The Before the Blue COP workshop opened on Wednesday 10 April, at the Royal Botanical Garden in Madrid, Spain. 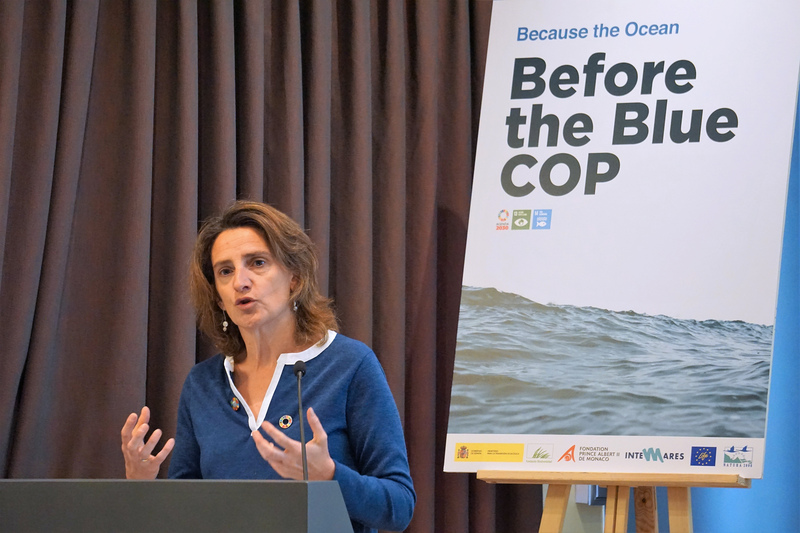 Teresa Ribera, Minister for Ecological Transition, Spain, welcomed participants and called for increasing public awareness on ocean and climate interlinkages. In a video message HSH Prince Albert II of Monaco reiterated his commitment to champion interlinkages between the ocean and climate agendas. Rémi Parmentier, Because the Ocean Initiative, and Loreley Picourt, Ocean and Climate Platform, moderated a roundtable featuring: Peter Thomson, Special Envoy of the UN Secretary General for the Ocean, Fiji; Manuel Barange, UN FAO; Anders Jessen, EU Commission; and Sébastien Treyer, CEO, Institute for Sustainable Development and International Relations (IDDRI). In his concluding remarks, Thomson underscored that holding a blue COP is a “one and only opportunity,” stressing the need to grasp this opportunity. 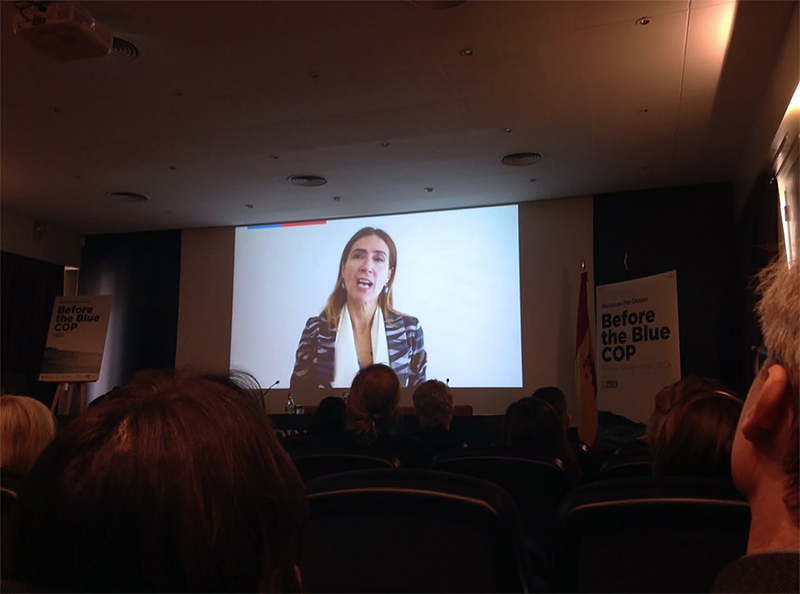 Via a video message, the President of the upcoming 25th Conference of the Parties (COP) of the United Nations Framework Convention on Climate Change (UNFCCC), Carolina Schmidt, Chile, invited workshop participants to the “blue COP.” She underscored that an effective global response to climate change is not possible without a global response to ocean challenges. 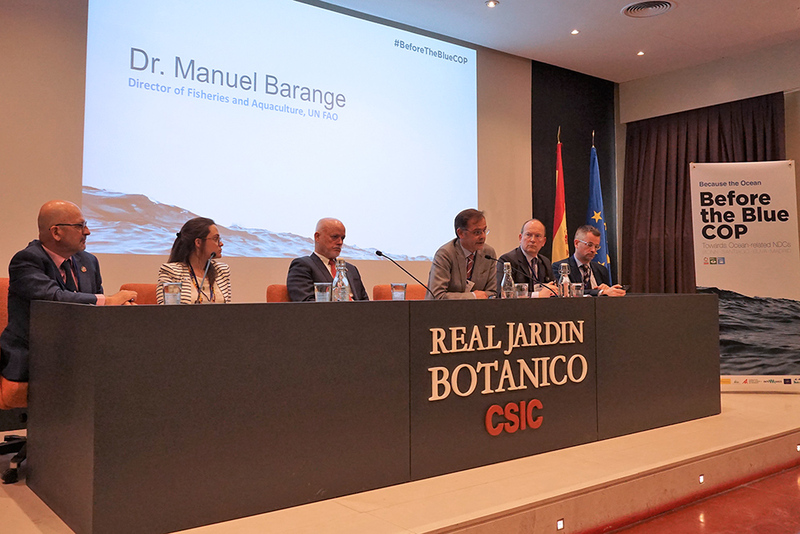 In the afternoon session, which took place at the Fundación Biodiversidad, participants outlined their expectations for the workshop, including: the need to identify milestones to foster interlinkages between the climate and ocean agendas; and exchanging knowledge with ocean and climate experts. 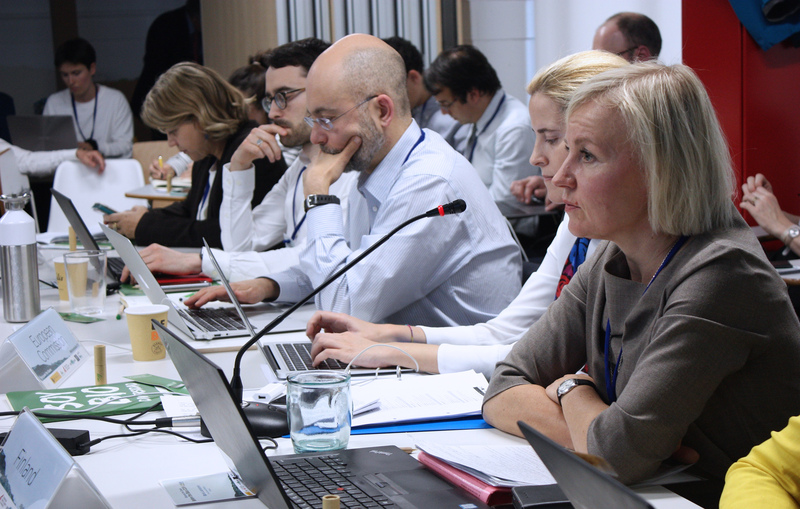 Rémi Parmentier emphasized the workshop series’ objective to provide room for breaking down silos and exploring the design of ocean-enhanced NDCs, bearing in mind regional differences. Iñigo Losada, University of Cantabria, noted ocean acidification, deoxygenation, and sea level rise are key threats. 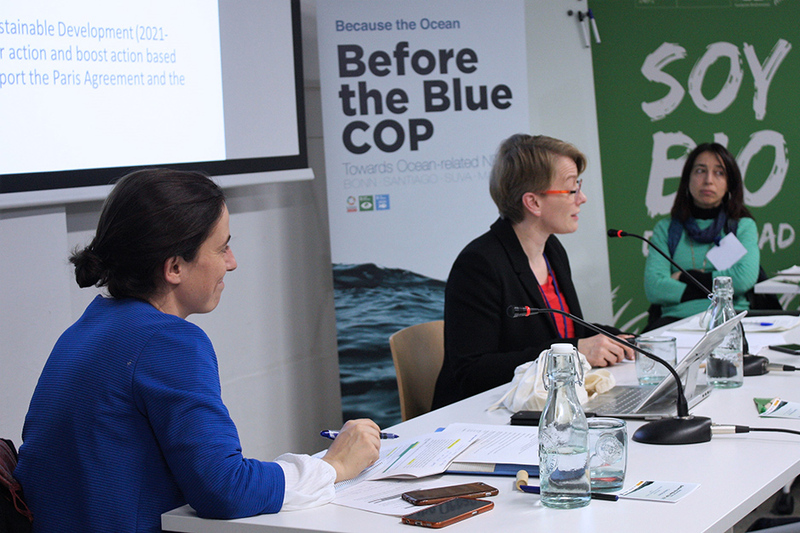 Joanna Post, UNFCCC Secretariat, and Paul Watkinson, Chair of UNFCCC SBSTA, provided insights into how ocean issues are included in institutional arrangements under the UNFCCC. 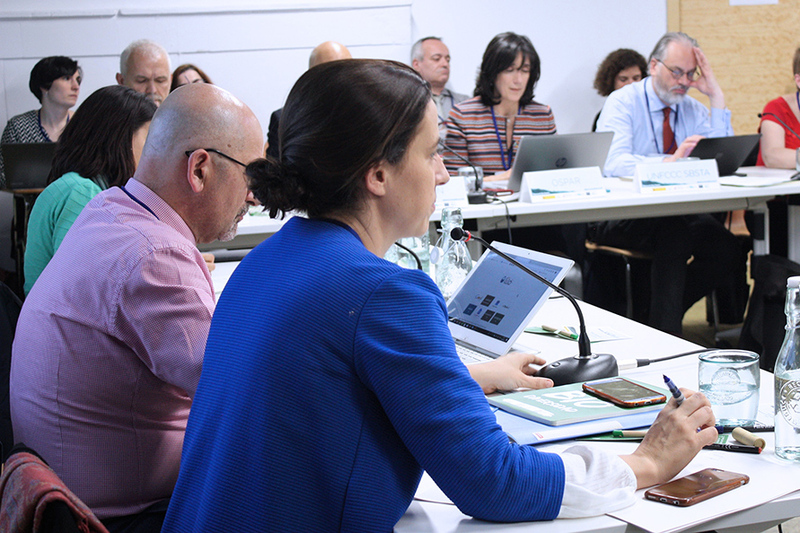 On regional perspectives, Susana Salvador, OSPAR Commission, delineated how the interlinkages between ocean and climate issues are considered in the North-East Atlantic. 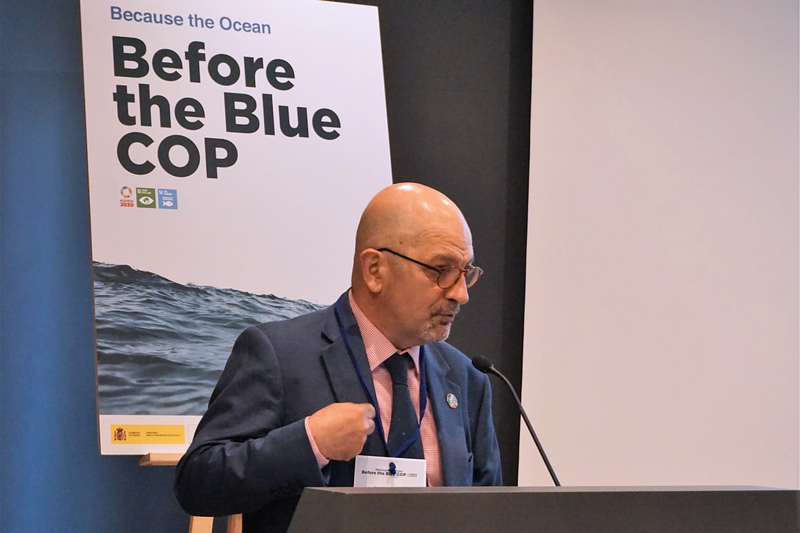 Gaetano Leone, UNEP-MAP-Barcelona Convention highlighted it is oftentimes more manageable to agree on political processes and mobilize higher levels of commitment at the regional rather than at the global level. (L-R): Rémi Parmentier, Because the Ocean Initiative; Loreley Picourt, Ocean & Climate Platform; Peter Thomson, Special Envoy of the UN Secretary General for the Ocean, Fiji; Manuel Barange, UN FAO; Anders Jessen, EU Commission; Sébastien Treyer, CEO, Institute for Sustainable Development and International Relations (IDDRI). 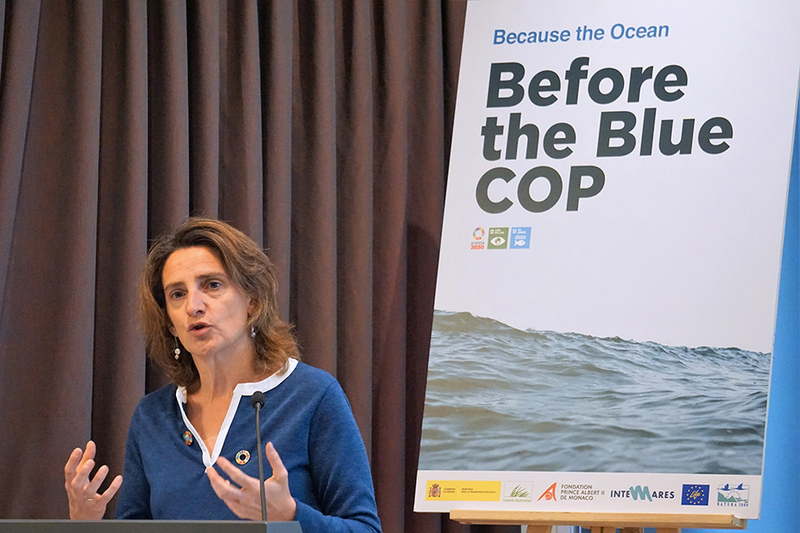 Teresa Ribera, Minister for Ecological Transition, Spain, delivered opening remarks. Teresa Solana, Spain, introduces the afternoon session. 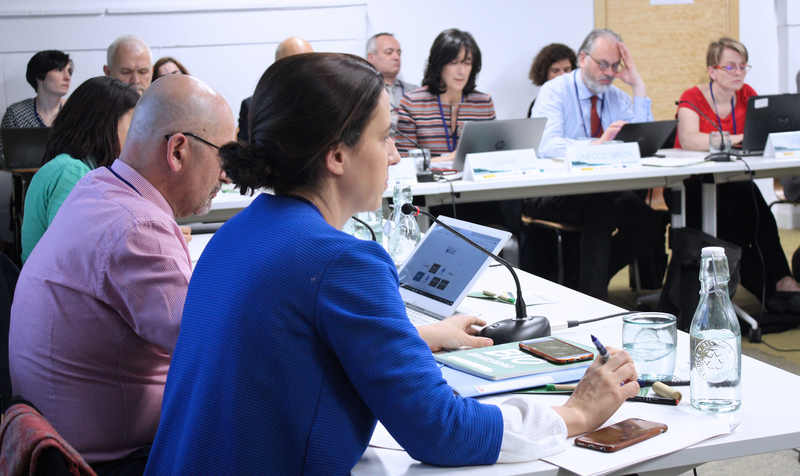 Sonia Castañeda Rial, Fundación Biodiversidad, welcomed participants for the afternoon session of the workshop taking place at the Fundación Biodiversidad. 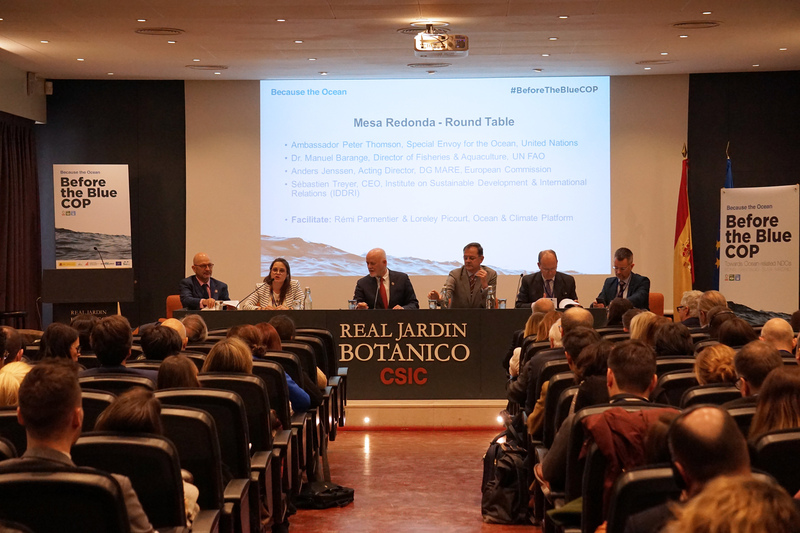 Teresa Solana, Spain, Rémi Parmentier, Because the Ocean Initiative, and Itziar Martín, Spain, moderating the roundtables in the afternoon session. 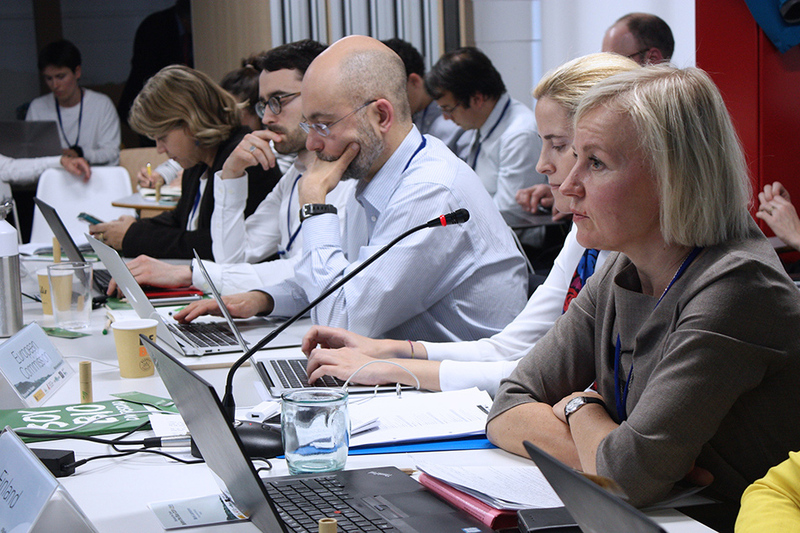 Representatives from Finland and the European Commission during the afternoon session. View of the dais in the morning roundtable. 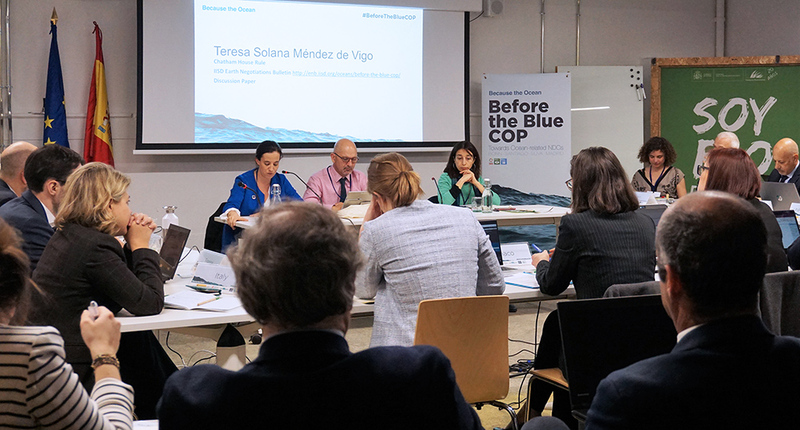 Via a video message, Carolina Schmidt, Chile, the President of the upcoming 25th Conference of the Parties (COP) of the United Nations Framework Convention on Climate Change (UNFCCC), invited workshop participants to the “blue COP. 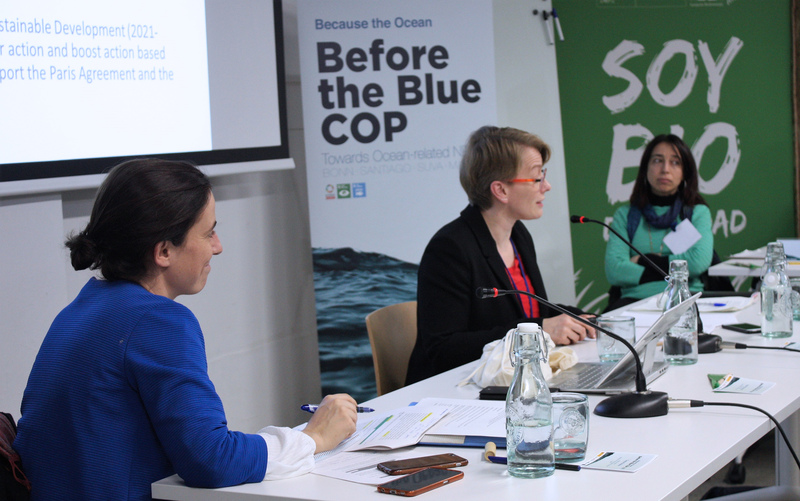 Joanna Post, UNFCCC Secretariat, delineated how ocean issues are addressed by institutional arrangements under the UNFCCC.